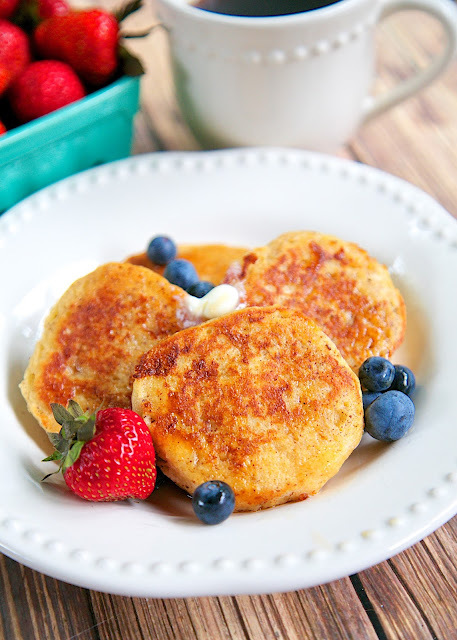 Biscuit French Toast Recipe - day old biscuits soaked in eggs, milk, and cinnamon, then grilled. 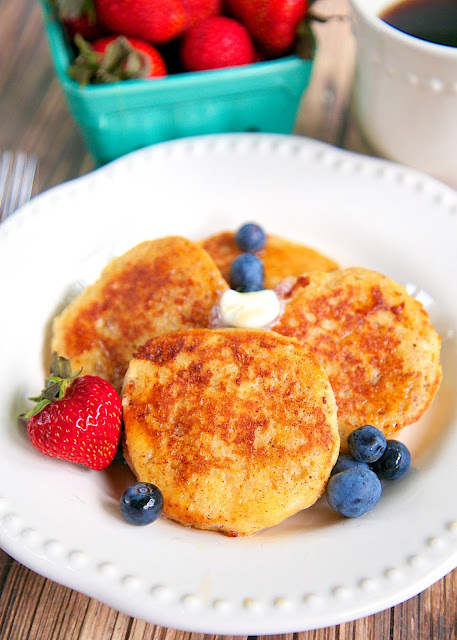 Serve with syrup and fresh berries for a delicious breakfast! Great way to use up leftover biscuits!! This recipe was inspired by one of our favorite breakfast spots, Biscuit Love in Nashville. Every time we go, Chicken Legs gets the Biscuit French Toast. He loves it. I decided to try my hand at recreating the Biscuit French Toast at home. I baked some biscuits the day before I made this. I wanted the biscuits to dry out a bit. French toast is always better if you don't use really fresh bread. It gets too soggy if the bread is super fresh. I used frozen biscuits, but you could make your own our even use canned. I just thought the frozen biscuits would hold up better. I've also seen cooked biscuits at Sam's - that would be great if you are feeding a crowd. We loved our homemade version of Biscuit French Toast. This only takes a couple of minutes to make since the biscuits are made ahead of time. You can make this even quicker and whisk up the egg and milk mixture the night before for a super quick weekday breakfast! Cut biscuits in half. Whisk together eggs, milk, vanilla and cinnamon. Melt some butter in a skillet over medium-high heat. Dip biscuit halves into milk mixture, allowing the biscuits to soak up some of the mixture. Shake off excess and place in skillet. Cook the biscuit until brown on one side, flip and brown the other side. 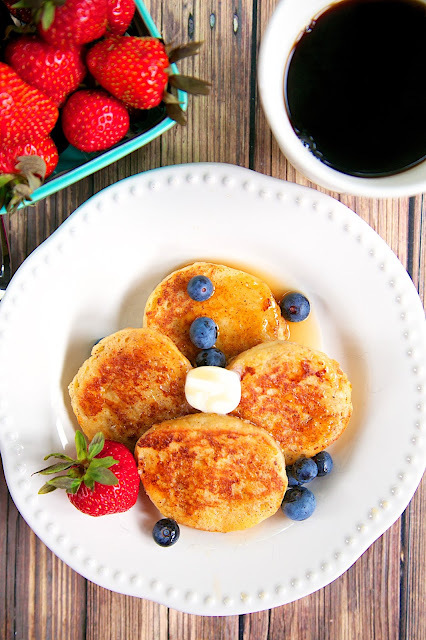 Serve with butter, syrup and berries. That looks like a tasty version of French Toast and a great way to use up any leftover biscuits you might have. Did you use frozen or canned biscuits? 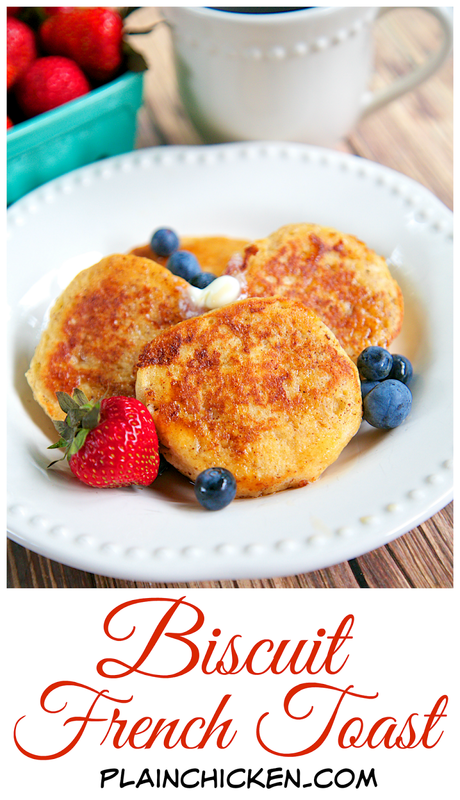 Steph, I made this yesterday for my boys who have always loved french toast and they loved this even more! Great idea and delicious. I used Grands buttermilk biscuits and the were the right size for this.